There are some default applications present in the Windows operating system which makes it quite convenient to use the Windows OS. Just like its predecessors, the Windows 10 OS also supports all of the default applications including the calendar app, calculator app, an alarm clock app. However, recently some Windows 10 users are complaining about the calculator application not working on their Windows 10 system. It is a weird error as the calculator is one of the basic applications of the Windows 10 operating system. If you are facing the calculator not working error in Windows 10, then today we are here with 10 different solutions to fix calculator not working in Windows 10 error. The 10 solutions that we have listed in this article are the most commonly used fix for the calculator app error in Windows 10, so these solutions should definitely help you. Press the ESC + Ctrl + Shift keys on your keyboard. The Task Manager window will now open. 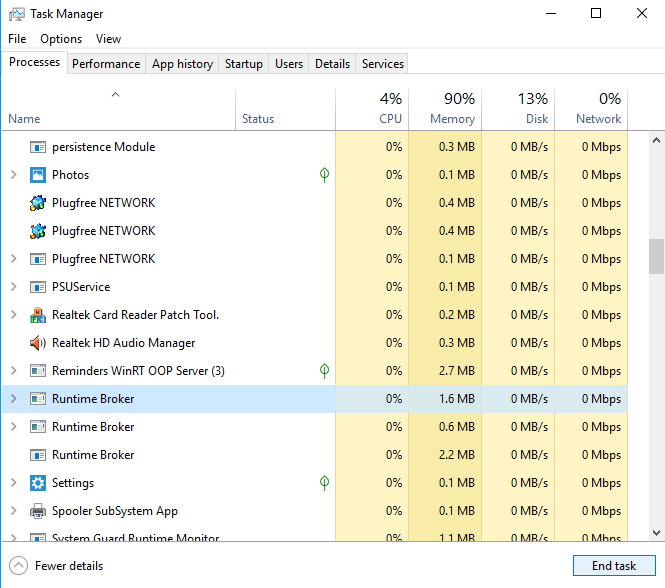 Find the “Runtime Broker” process and click on the “End Task” button located in the bottom right corner of the Task Manager window. If there are more than one instances of the Runtime Broker process, end all the processes. After you end the tasks, the issue should be resolved and the calculator application should now work properly. In the bottom left corner of your Windows 10 taskbar, click on the Search bar and type “PowerShell”. From the results that appear, using the mouse, right-click on the “Windows PowerShell” application. From the drop-down menu that pops up, click on the “Run as administrator” option. 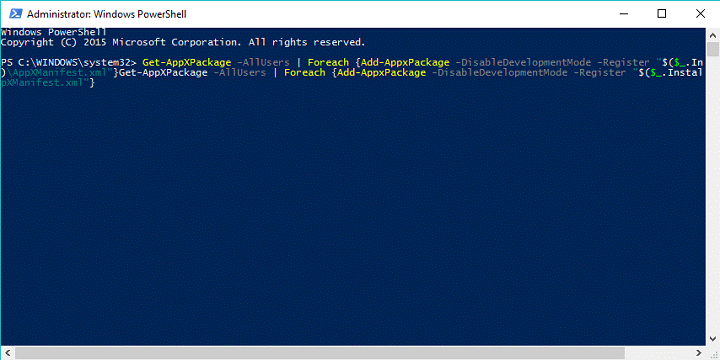 The Windows PowerShell application window will now appear. Enter the command given below and press the Enter key. All the Windows 10 applications will be registered again on your system. The calculator application should now work fine. Launch the Settings application on your system. Under the “Apps and Features” section, click on the “Calculator” application on the right side. And then click on the “Advanced Options” option. In the window that appears, click on the “Reset” button. Now the calculator application in your Windows 10 system will be reset. Click on the “Accounts” option. Click on “Family & other users”. 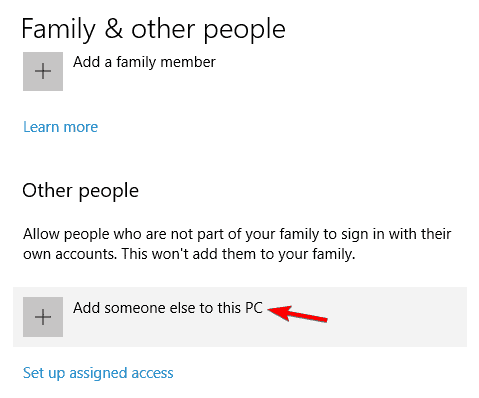 Now, click on the “Add someone else to this PC” option under “Other People” section. In the window that appears, click on the option that says “I don’t have this person’s sign-in information”. Then click on the option that says “Add a user without a Microsoft account”. Enter a new username and password for the new Windows 10 account. Now log out of your current Windows 10 account and switch to the new Windows 10 account that you created. Check if the calculator application works in the new Windows 10 account. If it does, then copy all your personal data to the new Windows 10 account and delete the old account. In the search bar, type “User Account Control”. 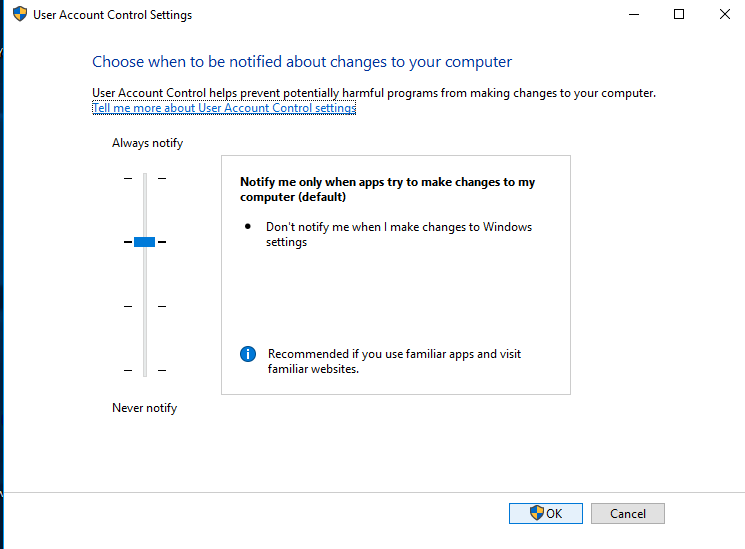 From the results that appear, click on the “Change User Account Control settings” option. In the window that appears, move the slider to the default position. Click the “OK” button and close the window. Press the X key and Windows key together. From the drop-down menu that appears, click on “Command Prompt (Admin)” option. If instead, the “PowerShell (Admin)” option is present, you can click on the same as well. In the window that appears, enter the below command and press Enter. The System File Checker Scan will now begin. It may take up to 20 minutes for the scan to complete. After the scan completes, try launching the calculator application. In the search bar, type “Firewall”. From the search results that appear, click on “Windows Firewall”. 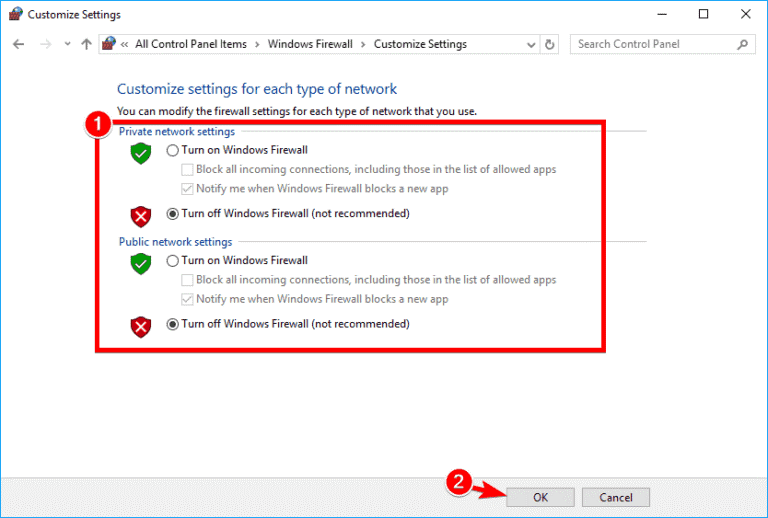 In the left side of the window that appears, click on the option that says “Turn Windows Firewall on or off”. Now click on the option that says “Turn off Windows Firewall (not recommended)”. Select the same option for both “Private network settings” and “Public network settings”. Check if the calculator app is working now. Click on the button that says “Check for updates”. Wait for the updates to get installed on your system. Launch the calculator app and check. Download and install the Windows Troubleshooter for Apps from here on your system. Launch the application after installing it and scan your PC. If there are any issues with the calculator app on your Windows 10 system, the troubleshooter will automatically detect and fix it. Download and install CCleaner for Windows from here. Run the CCleaner application on your system. Using the CCleaner tool, remove the calculator application from your Windows 10 system. Now, launch the Windows Store application. Search and find the calculator application by Microsoft. Launch the application and start using.